The national technical coordinator of Prolinnova–Tanzania, Zacharia Malley, reports briefly on the activities of the Country Platform at national and regional level in 2018, plus a self-assessment of network functioning. The 3-page report with annex on local innovation and experimentation to combat the fall armyworm can be found here. Fall armyworm (Spodoptera frugiperda, FAW) has recently appeared in Africa, where it is threatening food security, as it infests maize, which is a staple crop in many countries. Farmer innovators in Ethiopia and Tanzania (among surely many others) are trying out different ways to combat this new pest. The 4-page report “Towards farmer-led bio-management of fall armyworm in Tanzania” describes how a group of small-scale farmers in Tanzania has been trying out a sugar solution, pig fat oil and palm oil as substances to attract ants as a bio-control agent in maize infested with FAW. The 4-page report “Biopesticide to control fall armyworm: local innovation by Gebreyesus Tesfay” describes how a small-scale farmer innovator in northern Ethiopia developed a biopesticide against FAW. Prolinnova-Tanzania started in 2005 and is currently hosted by PELUM-Tanzania. It aims to build the capacity of network members and partners in Participatory Innovation Development (PID), create a platform for documentation and communication about farmer innovation and farmer-led research, and to facilitate networking of farmer innovators and other actors in agricultural innovation. Prolinnova-Tanzania members include the national farmer network MVIWATA, the Ministry of Agriculture and Food Security, Sokoine University of Agriculture, Cooperative College Moshi, INADES-Tanzania and many other organisations. PELUM stands for "Participatory Ecological Land Use Management". PELUM-Tanzania is an associate member of the "PELUM Association", which is a regional network of civil society organisations operating in Eastern, Central and Southern Africa to facilitate learning and advocacy in participatory land-use management and sustainable agriculture. We feed our experiences into a strategic process to influence rural development. PELUM-Tanzania was launched in 1995 and registered in 2002. It has 33 member organisations and collaborates with many other partners. 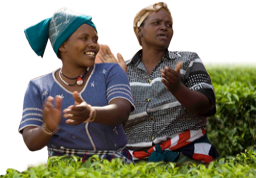 The PELUM vision is that farmers, men and women, especially smallholders, manage their environment sustainably and are able to identify problems, experiment and innovate, using locally available resources. PELUM wants to see that farmers are well organised and have formed strong networks to promote their interests at local and national level. 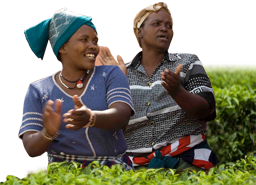 It builds the capacity of its members in sustainable agriculture, strengthens communication and training skills for empowering farmer groups, supports members in fundraising and organises action-learning processes. PELUM gives high priority to gender issues. PELUM-Tanzania supports documentation and communication to capitalise experiences and disseminate them in the network. It also engages in advocacy with and for farmer organisations and development organisations to influence Government, donors and NGOs on development issues and policies based on joint analysis by farmers and other organisations, especially on marketing issues.